For decades performers, instrumentalists, composers, technicians and sound engineers continue to manipulate sound material. They are trying with more or less success to create, to innovate, improve, enhance, restore or modify the musical message. The sound of distorted guitar of Jimi Hendrix, Pierre Henry’s concrete music, Pink Flyod’s rock psychedelic, Kraftwerk ‘s electronic music, Daft Punk and rap T-Pain, have let emerge many effects: reverb, compression, distortion, auto-tune, filter, chorus, phasing, etc. 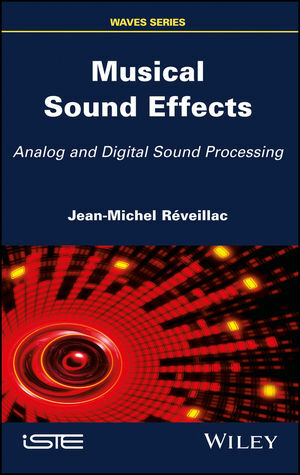 The aim of this book is to introduce and explain these effects and sound treatments by addressing their theoretical and practical aspects. Jean-Michel Réveillac is a consultant-adviser and lecturer for large companies. He currently teaches at the University of Burgundy, and CNAM in France and at IGA in Morocco.